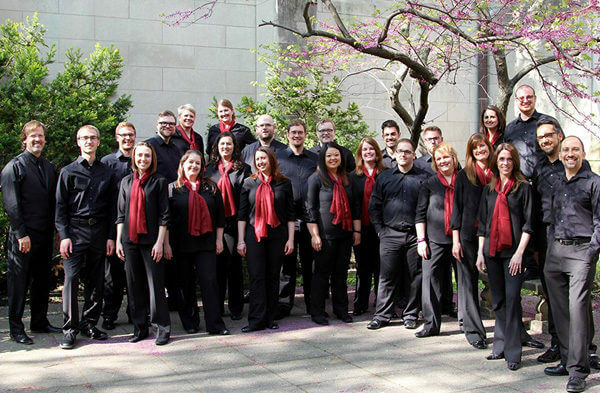 Cor Cantiamo, a professional chamber choir in residence at the NIU School of Music, will present the world premiere performance of The Seven Heavens, composed by Grammy-nominated British composer James Whitbourn on Thursday, Nov. 3, at 8 p.m., in the Boutell Memorial Concert Hall at NIU. A pre-concert lecture about the creation of this stunning new work by James Whitbourn will start at 7 p.m. Purchase tickets at http://corcantiamo.org/events. For information on Cor Cantiamo’s season activities or how to support their efforts, visit their website at www.corcantiamo.org.